Final Communique of the Conference on Somalia held in London welcomes dialogue between the Federal Government and Somaliland. 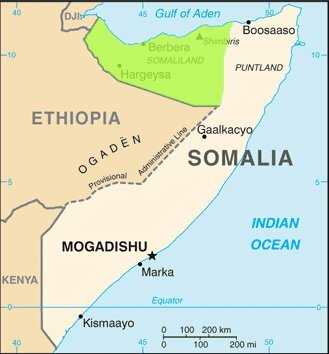 The foreign minister of Somaliland, a breakaway region in northern Somalia said that they are happy with the outcome of the international conference on Somalia that took place in London yesterday [7 May 2013], RBC Radio reports. Mohamed Abdullahi Omar said the fourth paragraph of the joint communique from the London conference highlighted the importance of ongoing talks between Somalia federal government and Somaliland, which were mediated by the Turkish government. “We welcome the outcome as the fourth paragraph of the communique clearly supports the ongoing talks between Somaliland and Somalia.” he told the BBC Somali. “We are independent state and we believe the London Conference were to Somalia. But we fully support peace and stability returns back to our brothers in Somalia.” the minister added. Somaliland which is unrecognized region on the northern Somalia has boycotted to attend the London Conference on Somalia citing it as lowering its status and downplaying its recognition seeking efforts. In the final communique of the one day international conference on Somalia’s future welcomed the dialogue between the Federal Government and Somaliland at Ankara in April 2013 to clarify their future relationship.